Texas-born, Toronto-based percussionist/drummer, Ray Dillard received his Bachelor’s and Master’s of Music degrees from West Texas State University. For several years, Ray was percussionist for the Amarillo Symphony Orchestra, and Director of Percussion Studies at West Texas State University. He then served as Guest Lecturer and Instructor of Percussion at Texas Tech University in Lubbock, Texas, before becoming the head of Percussion and MIDI Technology at San Jacinto College in Houston, Texas, a position which he held until 1998. Ray performed with BUKA, an eight-member ensemble (made up of members of the larger World Drum Ensemble) in Taipei, Taiwan and later in Lisbon, Portugal, for EXPO ‘98. The World Drum Ensemble took the stage in Hannover, Germany for EXPO 2000. The summer of 2002 found Ray on tour with NEXUS in Japan. In the summer of 2003, Ray performed the European premiere of composer Steve Mackey’s “Deal”, a concerto for percussion and electric guitar with orchestra at The Holland Festival. He has since recorded that piece with the Boston Modern Orchestra Project on Albany Records in 2005. In 2006, Ray performed on a musical sculpture made by Canadian artist Marlene Hilton-Moore in art galleries across Canada; these performances continued throughout much of 2007. 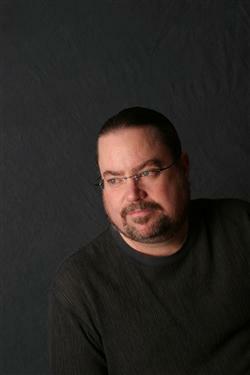 Ray completed several commissions for mixed ensembles in 2008 and 2009. 2010 found Ray finishing three CD projects, and 2011 is packed with 5 recording projects! Ray’s considerable recording credits include Grammy and Juno nominated projects with artists and ensembles from the United States, South America, Europe, Japan and Canada. His recording work with the Toronto-based percussion ensemble NEXUS includes some 15 titles, the most recent being “Drumtalker”. Other percussionists Ray has produced include Nancy Zeltsman, Christopher Norton, Mika Yoshida, Graham Hargrove, Nicholas Coulter, Michael Burritt, Mark Ford, Jurij Konje, Vancouver’s Fringe Percussion, Toronto's TorQ Percussion Quartet, as well as the University of Toronto and Northwestern University Percussion Ensembles. His acoustic jazz recordings include Ellis Marsalis, Paul English, Bruce Dudley, Joe LoCascio, and Marvin Stamm. Ray currently resides in Toronto, Canada where he is the Business Manager for the ensemble NEXUS, produces and plays on numerous recording projects, and continues to be fascinated by string theory and other aspects of physics.